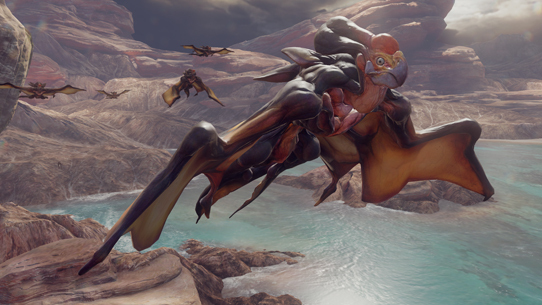 One thing we’ve noticed fans pick up on while romping through the Halo 5: Guardians campaign is the new collection of ambient flora and fauna populating some of the never-before-visited locales. We thought it would be fun to gather up some of the most prominent and interesting campaign critters and give you a bit more info on them. 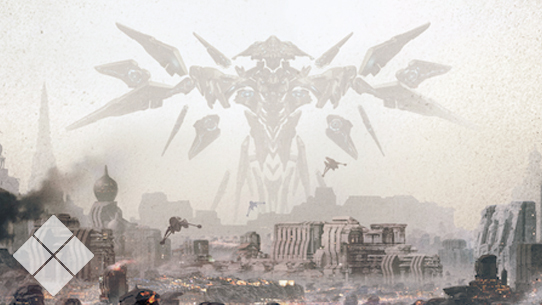 We have no doubt that a couple of them might spur the next iteration of lifeform-love, similar to the moa madness that swept the Halo: Reach nation a few years back. Read on to see if you’ve got a new favorite! Not uncommon on Builder-created refuges because of the rate’s appreciation of them, sky-rays like the lumenon were brought here from Rhotero, a Forerunner world claimed by the Flood. 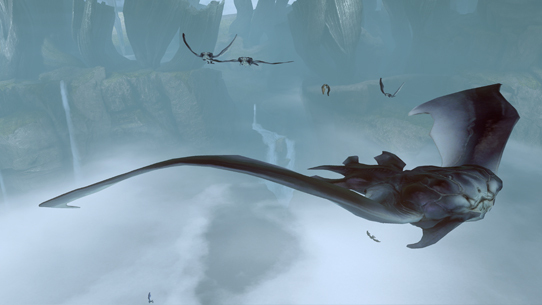 Although the breeding on Genesis has gone unchecked for millennia, these creatures will generally keep their distance, preferring to hunt the on the surface of its vast oceans. The skittering crab-like logrodites are transplants from a moisture-dense asteroid cluster on the edge of ecumene. Extremophilic by their nature, these ingenious creatures scavenge the surface of Genesis for harmful bacteria and are used to maintain the planet’s delicate ecological balance. 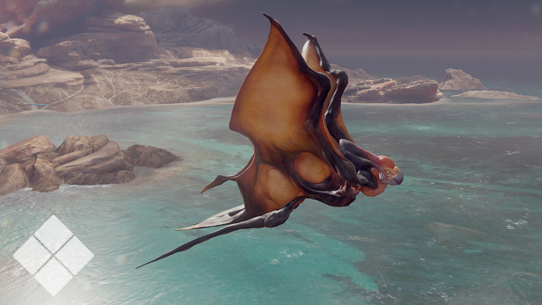 The kryn’qodon, a semi-avian glider which occupies the clefts and ridges in the more desolate upper-reaches of this territory of Sanghelios, spends most of its time scavenging carrion and snatching fist-sized dust mites from crevices in the stone façade. 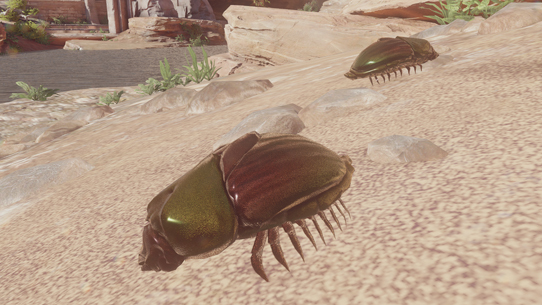 Native to the western shores of Qivro, particularly the Nuusra territory near Sunaion, the orzil beetle is part of a vibrant phylum of terrestrial insects that primarily survive in mountainous coastal locations. More at home in the darkness of the deep ocean, the so-called “nightmare eel” is rarely seen in shallow waters after the first year of their life. 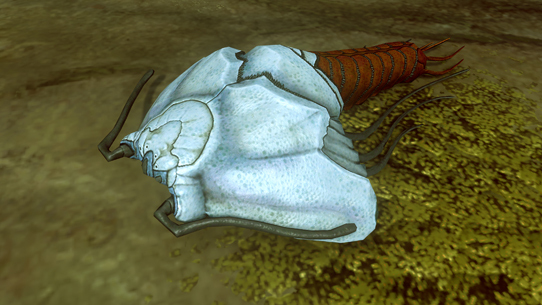 Qothal typically spend most of their time hunting a three-meter species of crustacean that reside in the labyrinthine caverns that cover much of the floor of Beta Gabriel’s oceans. The paelosur is an enigmatic sightless cetacean that uses an incredibly evolved sense of echolocation to find the massive colony-swarms of krill-like organisms that make up the bulk of its diet. Air-breathers, paelosur inhale and exhale through thousands of pores scattered across the surface of their bodies. 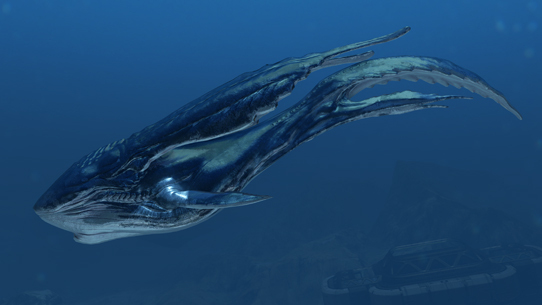 Interestingly, these aquatic giants appear to have been seeded on multiple worlds following the firing of the Array. That will do it for this week. Short and sweet for sure, but next installment will be quite a different story. When next we meet, we’ll be celebrating this feature’s 50th issue, and plan on having more than a few tantalizing tidbits and wise words scattered about the article, as well as some cool giveaways to boot. You’ll want to plan on stopping by our passion-laden pages next issue for sure. 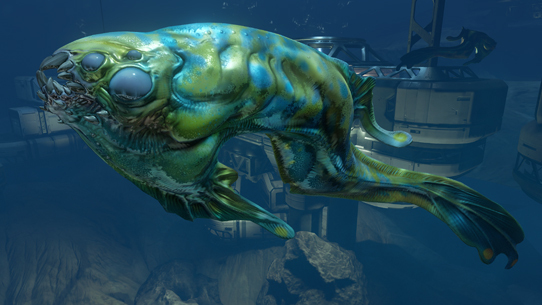 Until next week… Live well, play Halo, and always don BUCCANEER armor to raid a Kig-Yar pirate ship. 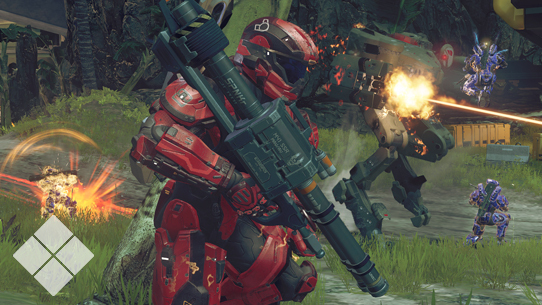 This week in Canon Fodder we recap an exciting launch week for Halo 5: Guardians. 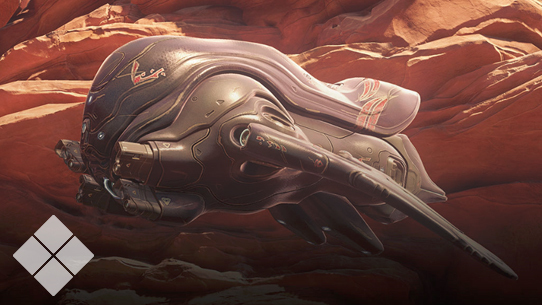 This week we celebrate 50 issues of Canon Fodder with new Universe content, a peek into Halo 5's development, and more!